Khabib Nurmagomedov has joined the throngs of people who don’t think Conor McGregor is permanently retiring. There’s a little more to that deal-with-the-UFC angle. UFC president Dana White was interviewed on KLAS-TV in Las Vegas over the weekend, and when he was asked if McGregor is really, truly retired, he said no. "I think that there's some things that Conor wants and I think that Conor wants to get together face to face, he and I, and we probably will in the next couple of weeks and we'll get this thing figured out." What are the things that McGregor wants? Shares in the UFC. McGregor wants to own part of the UFC, but White is not on board with that. "But he's stuck on this thing where he wants a piece of the ownership and that's just — if you look at basketball, Michael Jordan didn't own a piece of the league, and the list goes on and on. Is Conor very valuable to the sport and to the brand, the UFC? Of course he is. That's a tough one, but I think there's other ways that we can make him happy." It’s true that Michael Jordan doesn’t own a piece of the NBA, but he is the majority owner of a team, the Charlotte Hornets. And considering that a number of non-MMA related celebrities own shares in the UFC, it seems a bit ludicrous that White is trying to deny McGregor a share in the company. Guy Fieri owns shares of the UFC. So does Maria Sharapova. And Conan O’Brien, Tyler Perry, Adam Levine, and Jimmy Kimmel. None of them have stepped into the Octagon. 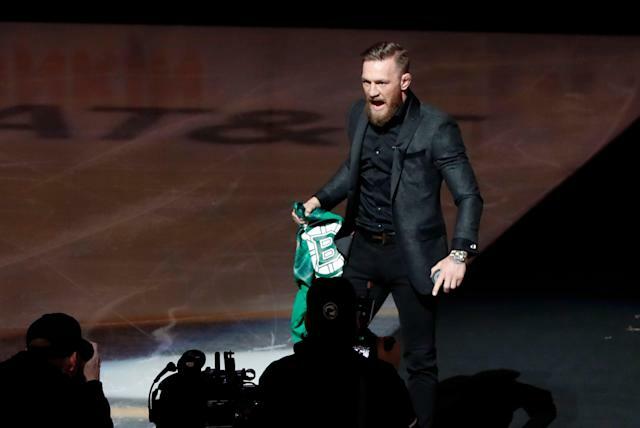 McGregor is one of the biggest stars the UFC has ever produced, and keeping him out while allowing Tom Brady (yes, that Tom Brady) to invest seems more than a little strange. It’s still not clear what McGregor’s retirement is. Is it an actual retirement? Is it a test? Is it a de facto strike to protest White stonewalling his investment efforts? Only McGregor knows for sure, and he hasn’t let anyone else in on the secret.